Danish-Italian design-duo GamFratesi's playful Beetle Chair is an inspiring meeting between visual elegance and functional practicality. The inspiration for the chair has been found in the insect world as GamFratesi has been looking closely at the anatomy and movement of the beetle. "The design of the chair reinterprets the characteristic elements of the beetles' sections: shape, shells, sutures, rigid outside and soft inside". Laminated moulded veneer with seat and back in 2 seperate parts. The 2 parts are joined together with a steel fitting milled into the 2 shells. The shells are 10 mm thick. Black conical metal base. 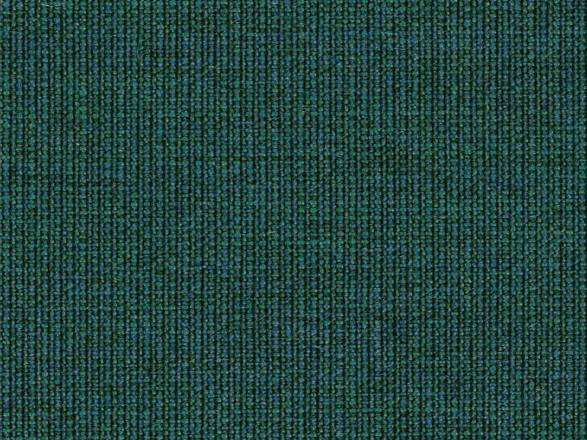 The chair is fully upholstered in Kvadrat Canvas fabric (90% new wool, 10% nylon) Green (984) with black leather piping.